Lovers of afternoon tea will be blooming delighted to see the new themed menu at the five star g Hotel in Galway. 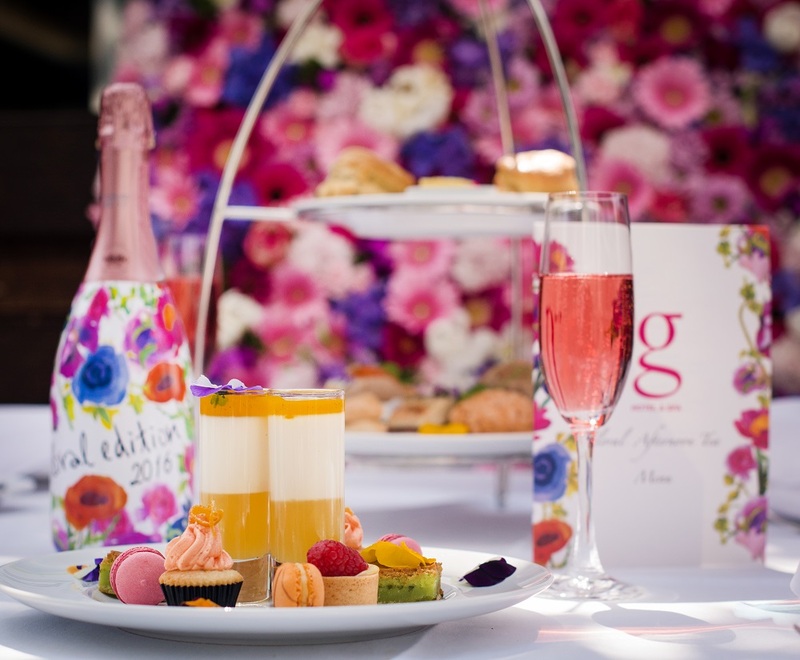 To mark the arrival of summer and the abundance of brightly coloured flowers, the g Hotel have launched a Floral Afternoon Tea experience in collaboration with Valdo Rosé Prosecco. Valdo are celebrating their 90th anniversary by releasing a limited edition of their Rosé Brut Prosecco. The bottle has been designed by Fabrizio Sclavi, fashion reporter and editor, and is an ode to the joy of living, to colours, to a positive world, to beauty, to women and flower queens who are very passionate about rosé wine. With a great selection of teas and a chilled glass of the limited edition Valdo Rosé Prosecco, you can quench your thirst in the grounds of the award winning g Hotel while enjoying a range of delicate floral delights including orange blossom cupcakes, a white chocolate hibiscus and pistachio brownie, saffron and vanilla verrine and delicious summer macaroons. The floral delicacies will be served alongside bite size savoury treats and classic homemade scones with clotted cream and preserves. Floral Afternoon Tea is priced at €37 for one and €59 for two. It is available daily from now until the end of July, between 12 and 6pm. Vegetarian and gluten free options are available for guests with food allergies and requirements. For further information please visit www.theghotel.ie or to make a booking call 091 865 200 or email eat@theg.ie.